It may seem an unlikely task but Asylon Theatre have created a beautiful and intensely moving piece of theatre inspired by the devastating ash-dieback disease that is spreading across the country. Currently showing in the Fletcher Building at RBGE at 11am each morning the show is adverstised for age 8+ but I feel that people of all ages, adults as well as children, will enjoy and be moved by this passionate play that combines physical theatre and drama with a story of three generations of woodlanders and one regal ash tree. The story is narrated by a child and this makes it all the more poignant. 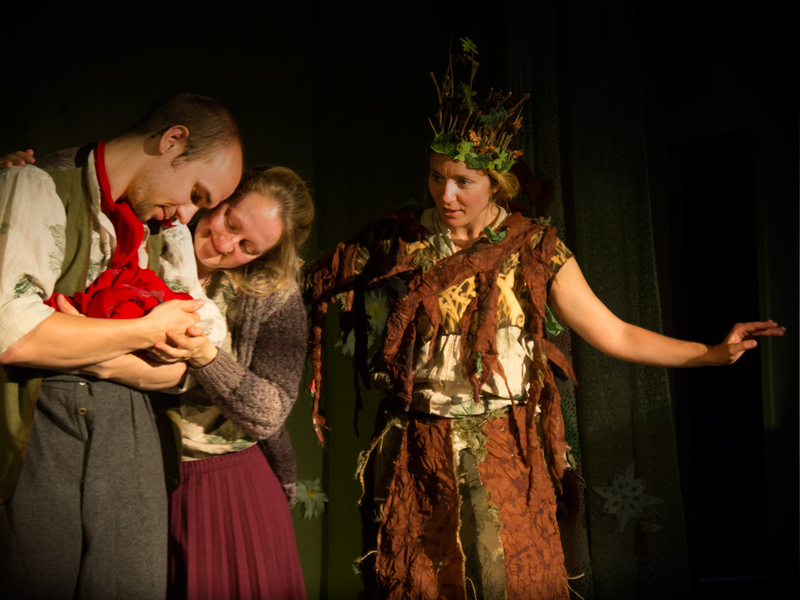 It is performed by three actors who move around the stage with energy and pitch perfect timing so with minimum props you feel immersed within the ash forest at all seasons and in all weathers. The touching human stories are intertwined in a playful way with the life of the tree, its birth, survival and ultimate death. Humour is added with charming vinettes from a caterpillar who is continually eating dog violets throughout the performance until finally emerging as a butterfly. A tremendous amount of development has gone into creating this highly professional performance and it deserves to be seen by a much bigger audience. This being the Edinburgh Fringe it is competing with a very large number of mediocre shows but do go and see it, and take your friends and family. You will not be disappointed.